Quincy Jones had a victorious day in court when a jury sided with him in his royalty lawsuit against Michael Jackson’s estate. A jury awarded the legendary music producer -- who produced MJ's top selling albums, Off The Wall, Thriller and Bad -- $9.4 million in the trial against the estate. A ten-person jury had been deliberating since Monday over the case, which was filed over four years ago. 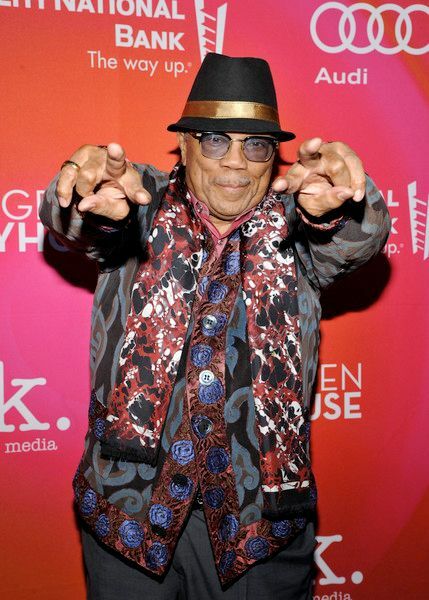 Quincy also felt like he was cheated out of royalties for the This Is It documentary that grossed over $500 million. The estate took $90 million, but Quincy was only paid $455,000. It’s a far cry from the $30 million he was originally gunning for, but a win is a win. And it’s more than what the King of Pop’s estate said he was owed. In the suit, Quincy claimed he was cheated out of royalties after MJ passed away in summer 2009. Once MJ passed away, there was a surge of interest in the projects, which increased sales of the albums and an increase in royalties. Quincy said MJ’s estate had been reaping the benefits from the royalties while he was left out of the loop. Two contracts from 1978 and 1985 were at the center of the dispute between Jones and Jackson, with specific wording that at times seemed to have a variety of interpretations. The deals indicate that Jones is entitled to a share of record royalties from Off the Wall, Thriller and Bad. However, the dispute intensified because Jones believes that he should have always received shares from the profits of Jackson's 1991 joint venture with Sony. Additionally, Jones said he was also entitled to net profits from movies instead of licensing fees from the songs used in those projects. Jones argued that the This Is It documentary concert film, which opened in theaters four months after Jackson's death, counted as a "video show" under his contract, which would have entitled him to a share of the net receipts. The Jackson legal team argued that the term is standard for music and irrelevant in Jones' appeal. So, Quincy didn’t get all that he felt he was owed, but he definitely received a come up.